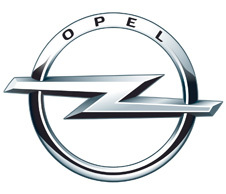 PocketGPSWorld Safety Camera Database - Vauxhall / Opel Navi 900 and 600. 1. Find a USB flash drive (not hard disk) formatted to FAT or FAT32 with clusters of 64k or less (please ask in our forums if you need assistance with formatting the flash drive - most USB flash drives will be correctly formatted anyway). 2. Create a folder on the flash drive called 'MyPOIs' (without the quotes). 2. 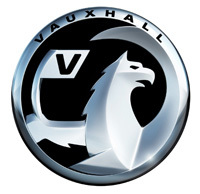 Choose 'Vauxhall Navi' as the SatNav System type. You can choose to include our 'pMobiles' data' at this stage. pMobiles are camera locations that have been reported to us but remain unconfirmed. Some users like to have this data, others prefer to rely on our verified data only. Then choose 'UK - Single file with all cameras' (for other countries, make your selection as appropriate). 5. Copy one of these .poi files to the MyPOIs folder on the USB flash drive. 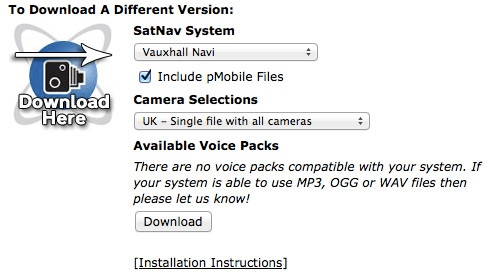 Note that the '_5' will mean the files get installed to the 'Automotive' category on the device. You can edit the number if you want to use a different category, for example '_20' for 'General'. 1. Turn on the Navi 600/900 unit in the car and insert the USB flash drive into the car's USB socket. 2. The Navi system will start playing any music files that happen to be on the drive... If the drive is not formatted correctly you will see an error. 3. Press 'Config' and then 'Navigation settings'. 4. Select 'Import Individual POIs' and then 'Continue'. 5. The Speed Camera POIs will be transferred to the Navi system - note that this may take some time. Note: The Navi system does not offer audible warnings. 1. Press 'Config' and then 'Navigation settings'. 3. Tick the box next to the POI category you installed (our download defaults to 'Automotive' (category 5) but you may have edited this) to activate warnings. 4. Select the category itself to then set the warning distance. You can choose 'early' for a 400m warning or 'late' for a 200m warning.